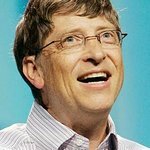 Bill Gates, co-chair of the Bill and Melinda Gates Foundation, has told the international agricultural community it had fallen short of delivering the help small farmers in developing countries need, when they need it. In a speech delivered at the International Fund for Agricultural Development (IFAD), Gates asked the UN bodies responsible for fighting hunger and poverty to unite around a common global target for sustainable productivity growth to guide and measure their efforts. The number of hungry people in the world has reached the 1 billion mark, and global food prices that were beginning to fall last July—signaling some relief—are starting to creep up again. According to estimates, small farmers in South Asia and sub-Saharan Africa can double or almost triple their yields, respectively, in the next 20 years. This sustainable productivity increase will translate into 400 million people lifting themselves out of poverty. “History has shown us what’s possible when people can grow enough food. If we want to transform the lives of people in Africa, we need to focus our efforts on raising agricultural productivity, creating markets and making agriculture a business not a development activity,” said Akin Adesina, Nigerian Minister of Agriculture and Rural Development. Gates also announced nearly $200 million in grants, bringing to more than $2 billion the foundation’s commitment to smallholder farmers since the agriculture program began in 2006. The foundation takes a comprehensive approach to supporting small farmers so progress against hunger and poverty is sustainable for the economy and the environment. “When Melinda and I started our foundation more than a decade ago, we initially focused on inequities in global health. But as we spent more time learning about the diseases of poverty, we realized that many of the poorest people in the world were small farmers. The conclusion was obvious. They could lift their families up by growing more food,” explained Gates. The Thirty-Fifth Session of IFAD’s Governing Council, entitled “Sustainable smallholder agriculture: Feeding the World, protecting the planet,” provided a forum for governments and the agricultural development community to discuss ways to grow 70 percent more food by 2050 to feed a growing, more urbanized population.